omg! i did something today! =b started it while my bro was eating at KFC and i didnt have much else to do cept doodle (its what i do =T), and just finished it off about 10 minutes ago. but yeah! like the title says, this is a universe i could get behind =T lol. its not done yet, though, i need to add some finer details like scuff marks and such. 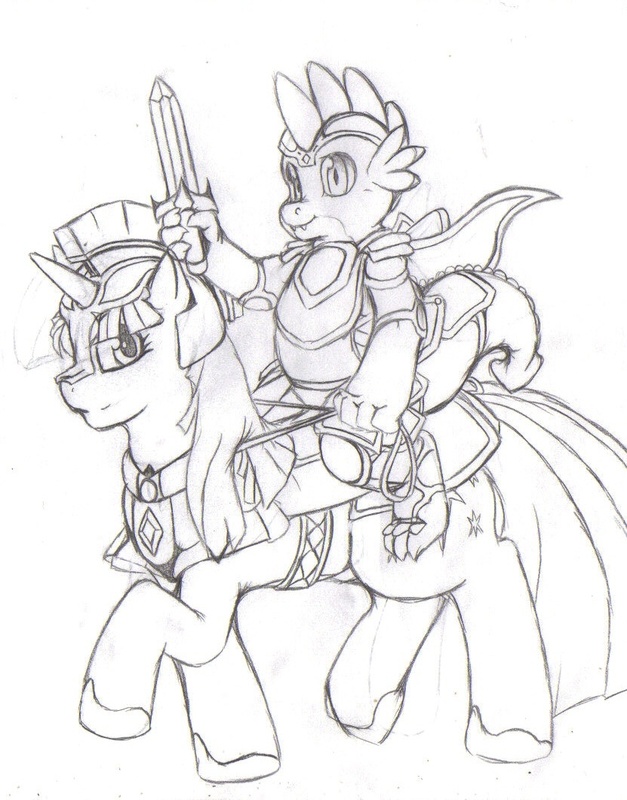 This is what happens when Pathfinder lets players have pony and dragon characters. I would totally support this. We should petition Lauren! Element of surprise/ambush/secret weapons: Pinkie Pie. Element of air support: Rainbow Dash. Element of brute force: Applejack. Element of medical support: Fluttershy. Element of artillery/magic: Twilight Sparkle. i.... surprisingly like this a lot XD reminds me of higurashi. thanks! That so cool and probably 100% true how the alternate universe mane 6 is like. The slayer of evil ponies (and other things), Spike, and his steady and true steed Twilight Sparkle. Cool man, can you make another alternate universe pic? cant, starting work on the final 7 pages of the second DYO ending today =T gonna be busy for atleast a month now most likely. Keep it up you handsome prince. :P Quite fine! The cape in the "warrior gray" version looks his armor as if it's made of metal as well!!! Otherwise all versions look awesome!!! i forgot to deselect his cape is why =P i should of left it red, lol. I think he should have something a little bigger than that little shortsword though. That is not very good for mounted combat.